Becky Leckenby, CEO, The Pristine Clean Company NE Ltd. 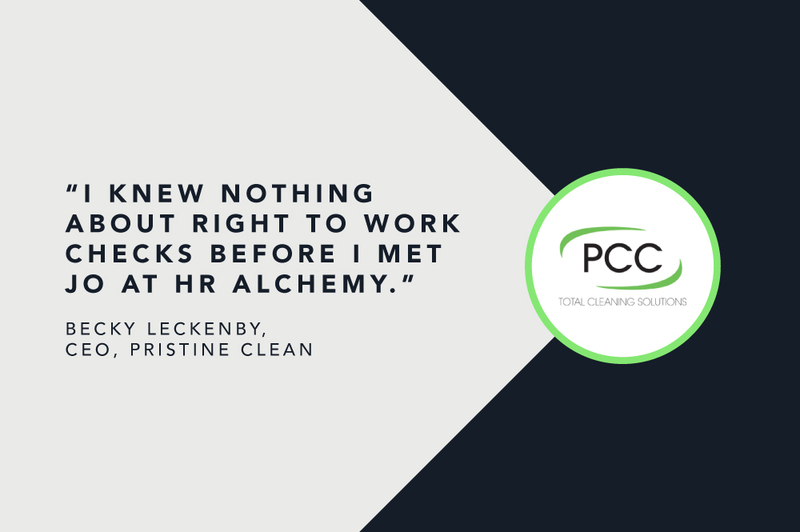 Owner of a successful local business, Becky Leckenby had not heard of the Right to Work in UK legislation before meeting Jo Davies of HR Alchemy, even though she had employed the services of a HR adviser for many years. Her HR adviser failed to mention these checks throughout the entire business relationship which meant that Becky was in breach of the law. the t’s when it came to safeguarding her business and looking after her employees. The Pristine Clean Company NE Ltd is a professional full-service commercial, domestic and industrial cleaning company. 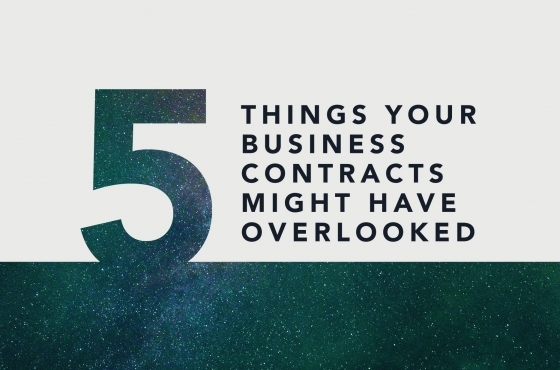 The majority of employees are working on zero hour contracts and although the existing paperwork was correct, it was found that there were some gaps that needed the attention of a HR specialist to make sure the company was fully compliant. In particular the Right to Work in the UK checks. 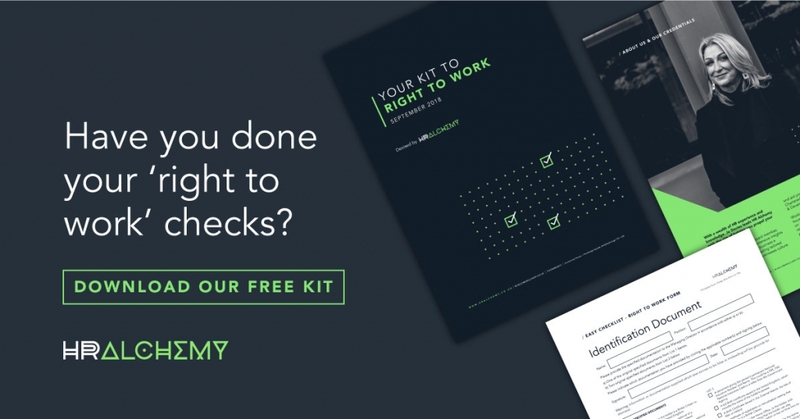 In May 2014, changes came in to force to strengthen and simplify the civil penalty scheme for employers, which included some changes to the document checks businesses are required to undertake. Jo provided Becky with a simplified version of the form filling and document check. As well as working through the process for all existing Pristine Clean’s employees, Jo also helped to set some rules for new starters. Becky was then able to do the checks herself and found everything really straightforward. 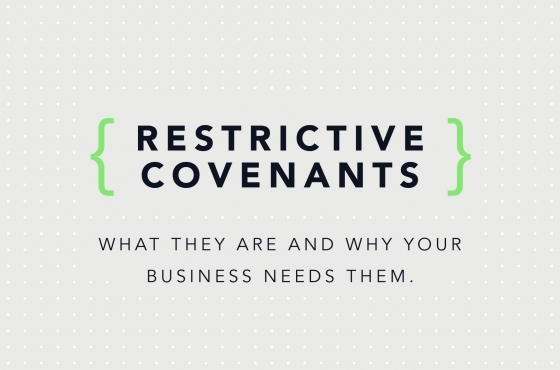 “The penalties that are issued to businesses who are not fulfilling these legal documents could be damaging and in some cases could shut down a business. We felt it wasn’t worth taking any risks,” said Becky. Following this work, Jo is also providing Becky with an ongoing HR service which includes work on employee contracts, handbook, sickness forms as well as supplier contracts and general policy administration. “Bringing Jo in to deal with all our HR requirements means that I can now focus on the future growth and direction of the business. She can keep us on track with all our contractual agreements, legal contracts and employment policies which will be to the benefit of both the business and our employees” added Becky.To arrange an assessment with Jo and the team at HR Alchemy get in touch today on 03338 802810 or download our simple Right to Work in the UK guide here.